The world's newest semiconductor company does not intend to miss the lucrative cryptocurrency market and is developing specialized ASIC chips. 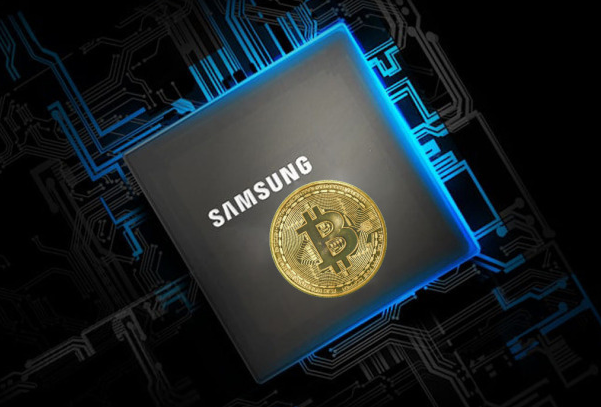 Yesterday, Samsung passed Intel as the largest semiconductor manufacturer in the world, today we learn that the Korean giant is developing chips specialized in the mining of cryptocurrency, as TechCrunch reveals. Samsung has already made agreements with a Chinese distribution company whose name has not yet been communicated. The choice of China is logical because the country is at the forefront of "mining" not only in terms of "farms", these gigantic data centers that aggregate thousands of processors and graphics cards to "undermine" virtual currencies, but also in terms of components since they are companies of the middle empire who lead the dance in processors specialized in computing. Samsung does not launch a simple variation of one of its processors Exynos smartphone but an ASIC chip (Application Specific Integrated Circuit), a processor designed from the outset to be specialized in a type of application and less consumer than chips more versatile. According to Engadget, this kind of chip would be more efficient than a large graphics card type Nvidia Geforce GTX1080 and much more processor than a central processor (CPU). With $ 19,000 worth of Bitcoin picks and cryptocurrency service launches in every way - even Kodak has gone for it - the world of digital currency is fueling a lot of lust. And if the revolution takes place, Samsung wants to be the preferred processor of this kind of applications.